Most people knit or crochet for fun, but could there be a larger benefit? These two activities have been proven to be huge stress relievers and are encouraged hobbies. Studies show activities such as knitting and crochet have a calming effect on the mind, allowing people to reduce their anxiety. As a result of the ability to reduce feelings of stress or worry, knitting and crochet can even help medical conditions such as asthma or panic attacks. Similarly, both activities can actually strengthen the body’s immune system. 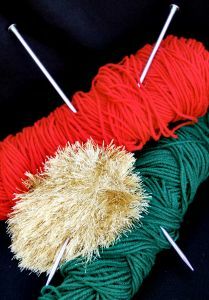 Crochet and knitting can help get your mind off of other problems while providing a stress-free activity to occupy your mind. It’s probably a good thing that mothers-to-be often take up knitting for their unborn babies–they need some distraction from their pregnancy! Click here to read my personal story of how a Knitting and Crochet Tote became a stress reliever for me. If you want to try some easy knitting and crochet projects, try our Free Easy Crochet Patterns and Beginners Help or make your very own Crochet Tote Bag.